Buzzard or Red Kite ? Observation - Buzzard or Red Kite ? - UK and Ireland. 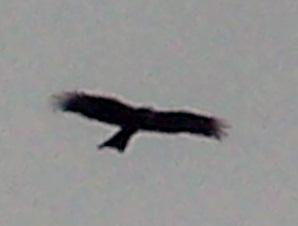 Description: Saw this Bird of Prey hovering over us around midday,,at the tim e I assumed it was a buzzard but wh3en I look at picyires not so sure,,possable a Red Kite,,,any ideas >?? Saw this Bird of Prey hovering over us around midday,,at the tim e I assumed it was a buzzard but wh3en I look at picyires not so sure,,possable a Red Kite,,,any ideas >? ?